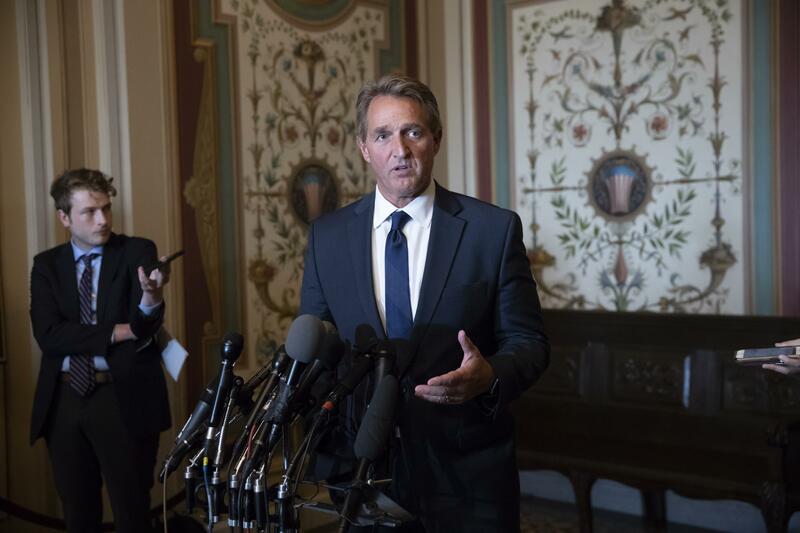 WASHINGTON – The Senate voted resoundingly Wednesday to seek a congressional role in some of President Donald Trump’s tariff decisions, a symbolic rebuke reflecting growing GOP alarm over the president’s trade war. The 88-11 vote came on a non-binding procedural measure asserting “a role for Congress” when Trump imposes tariffs in the name of national security, as he’s done with steel and aluminum tariffs on Canada, Mexico and the European Union. Although the provision is toothless, it represents the first concrete step by Republicans toward reining in a protectionist agenda that has upended decades of GOP dogma in support of free trade. Republicans have spent months wringing their hands over Trump’s trade moves and arguing against them in public and private, but have failed to do anything to stop them. Wednesday’s vote does not achieve that goal either. But supporters presented it as an important statement, and potentially a first step toward ultimately passing legislation giving Congress veto power over some of Trump’s trade moves. Previous efforts by Sens. Bob Corker, R-Tenn., and Patrick Toomey, R-Pa., to hold a vote on legislation requiring congressional sign-off on national security tariffs have been blocked, in one case by GOP leadership. Corker and Toomey said they plan to keep trying and expressed hope that Wednesday’s vote would provide momentum. It was far from clear, though, that the large number of Republicans who voted in support of Wednesday’s non-binding language would be willing to vote for legislation that would actually impose limits on Trump’s authorities on trade. Some of the “no” votes Wednesday reflected reluctance among Trump’s most stalwart supporters to stand in his way as he hammers tariffs on U.S. allies and on China that he says are aimed at leveling the international playing field on trade and helping American workers. And some Democrats downplayed the significance of Wednesday’s vote, including Sen. Sherrod Brown, D-Ohio, an outspoken supporter of Trump’s steel tariffs who has blocked action on the Corker-Toomey bill giving Congress veto power on certain tariffs. Section 232 is the provision of trade law that gives the president authority to unilaterally level tariffs if he determines that foreign imports threaten U.S. national security. Trump invoked Section 232 on May 31 when he imposed stiff tariffs on aluminum and steel coming from Canada, Mexico and the European Union. Many Republicans argued that the tariffs were an abuse of presidential power, and lamented congressional decisions over the years to cede its constitutional authority over trade to the executive branch. Corker said no one ever anticipated that a president would use that authority the way Trump has done. The tariffs on Canada, Mexico and the European Union have begun boomeranging to hurt U.S. workers, costing jobs at a nail factory in Missouri where the costs of imported steel parts have become prohibitive, and prompting Harley Davidson to warn it may have to move production facilities overseas. At the same time Trump has slapped a new round of tariffs on China, sending trade tensions to new heights – though those are not being done in the name of national security. Published: July 11, 2018, 11:15 a.m.